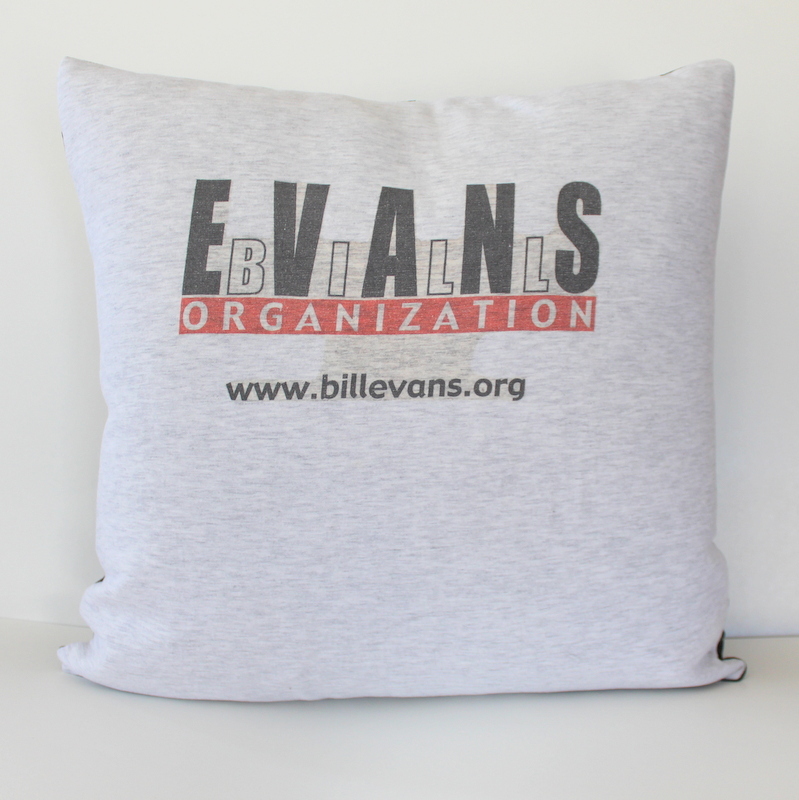 Memory pillow are wonderful gifts for grads, grandmas and grandpas and girlfriends! 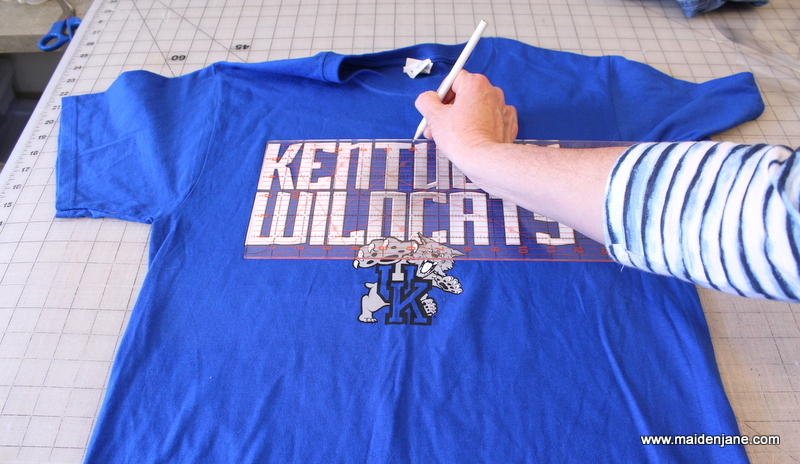 Make one for yourself using special shirts from a loved one. This particular style uses one T Shirt and one button down shirt. You are not limited to that, but the button down shirt makes an easy closure method. This is a project you could do with a child with some help from you. 1. Mark the center of your T shirt motif. 2. Determine size of pillow. 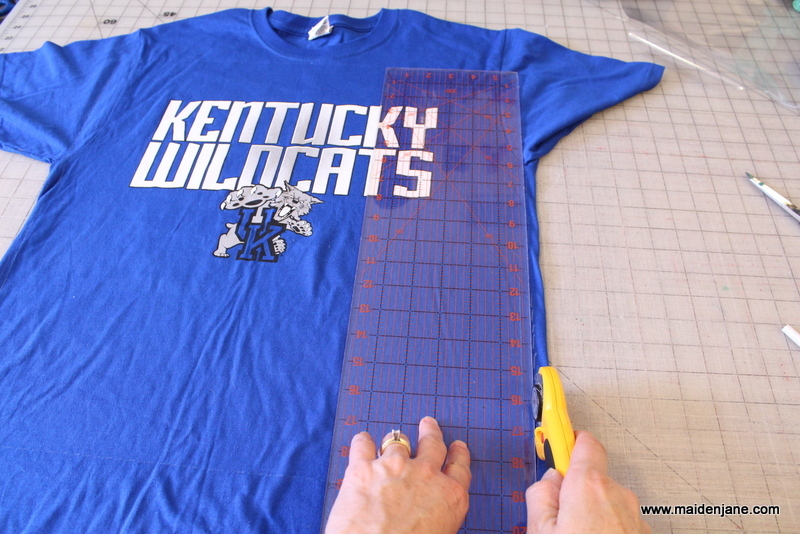 Following the center of the motif upward, place a ruler with 9.5″ at the center mark for the motif. 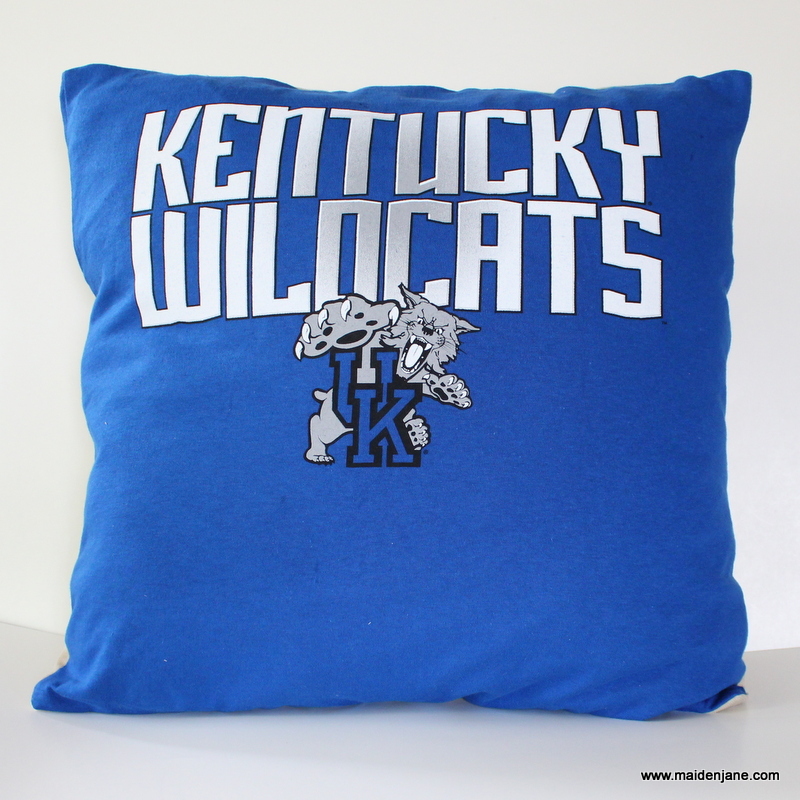 For an 18″ pillow, I like to cut a 19″ square. 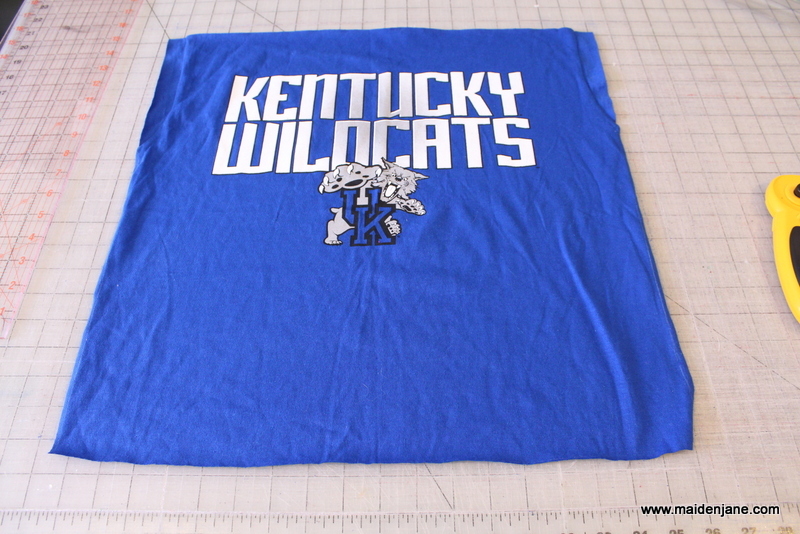 In the case shown here, 19″ extends into the sleeve of the T Shirt. If you have a small shirt, you might have to go down a size. 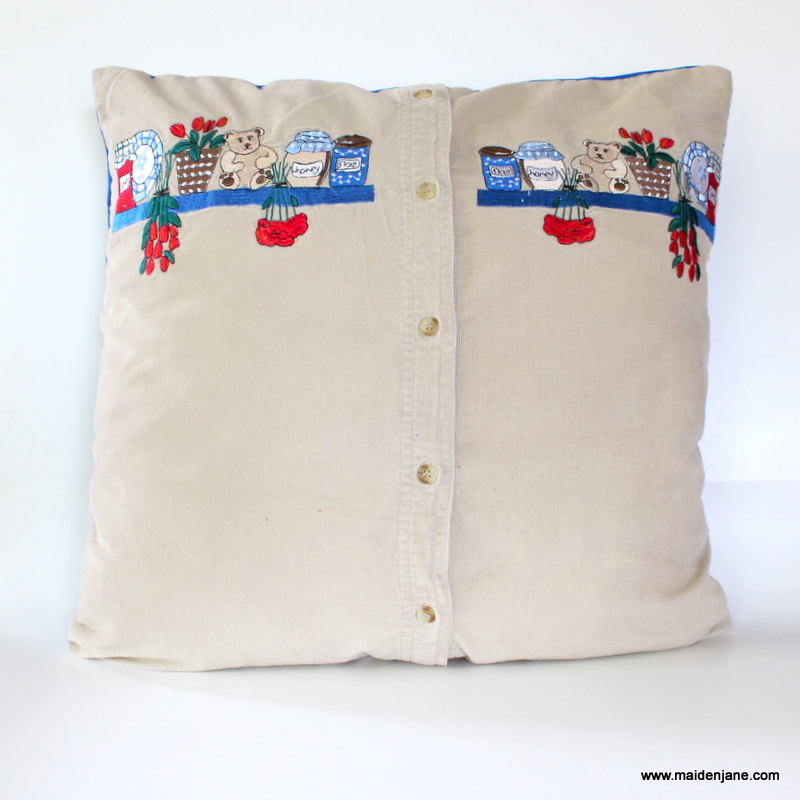 I often use 16″ pillows for women’s shirts and cut the square to 17″. 3. 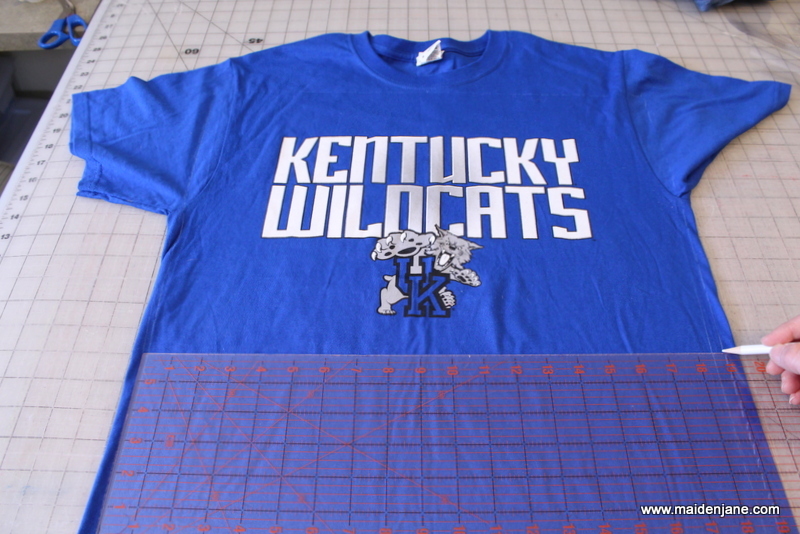 In this case, I drew a 19″ square centered around the motif, with the top line drawn just under the collar. 4. 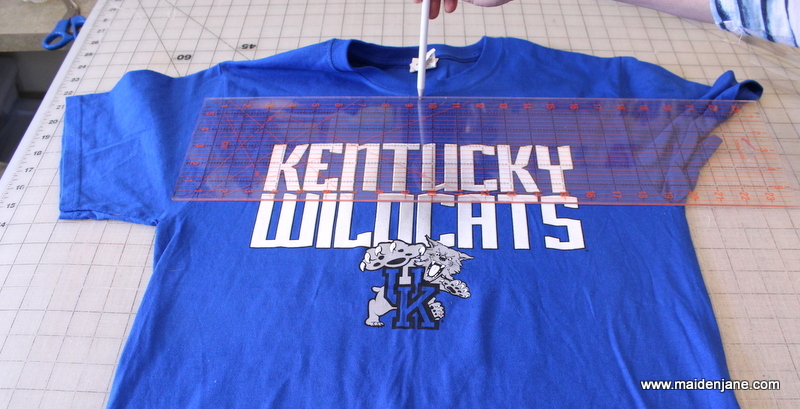 Cut the square using a rotary cutter or your scissors. 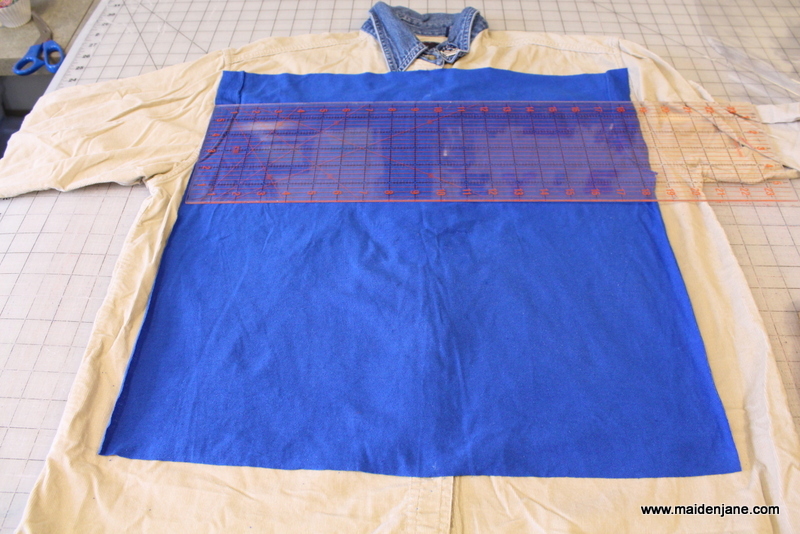 Optional – interface the shirt or put a narrow strip of interfacing around the edges to make sewing easier. 5. 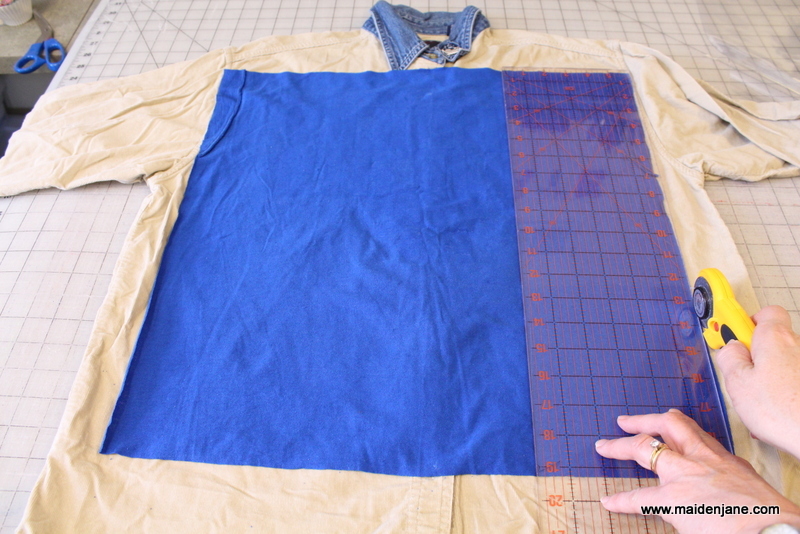 Place the right side of your T Shirt square onto the right side of the button down shirt. Make sure the center of the T Shirt lines up with the buttons. 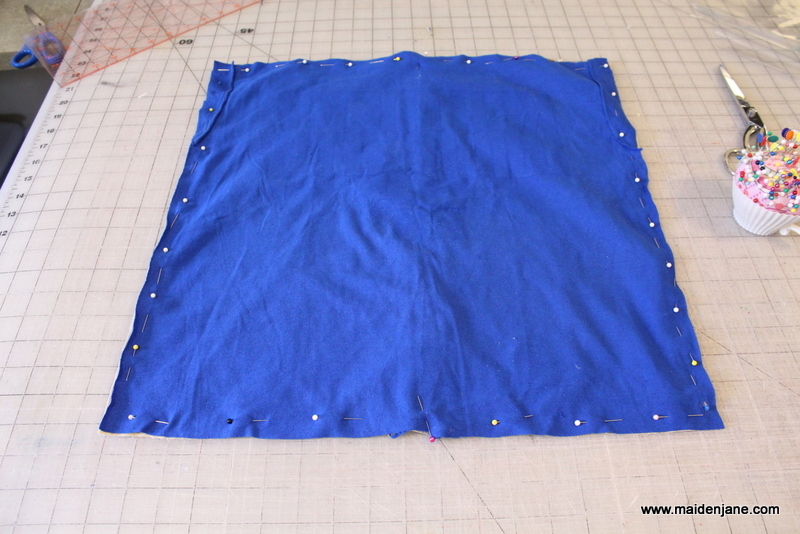 It is important to center the buttons vertically inside the square so that you don’t stitch on or near a button. Every once in a while I have to remove a button. In this case, there was a motif on the button down shirt so I placed the square as high as possible. 6. Cut the button down shirt. 7. 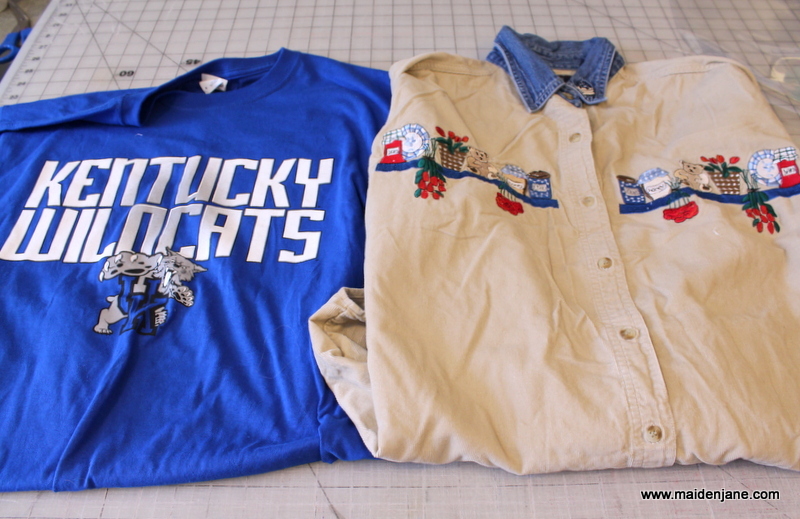 Pin the shirt to the button down (after you remove the bottom layer of the button down shirt.) When sewing with knits, use a lot of pins. 8. 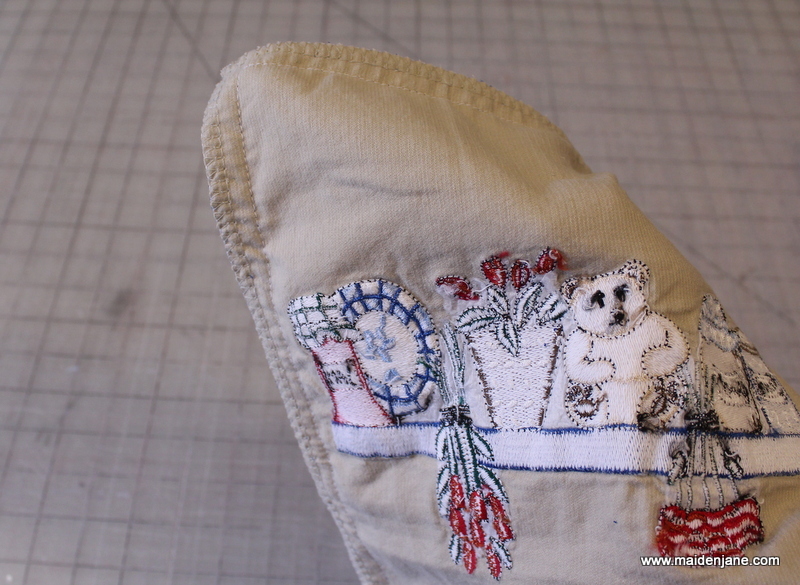 Stitch around the perimeter using a 1/2″ seam allowance. If the knit stretches, use a longer stitch and reduce the pressure a bit. 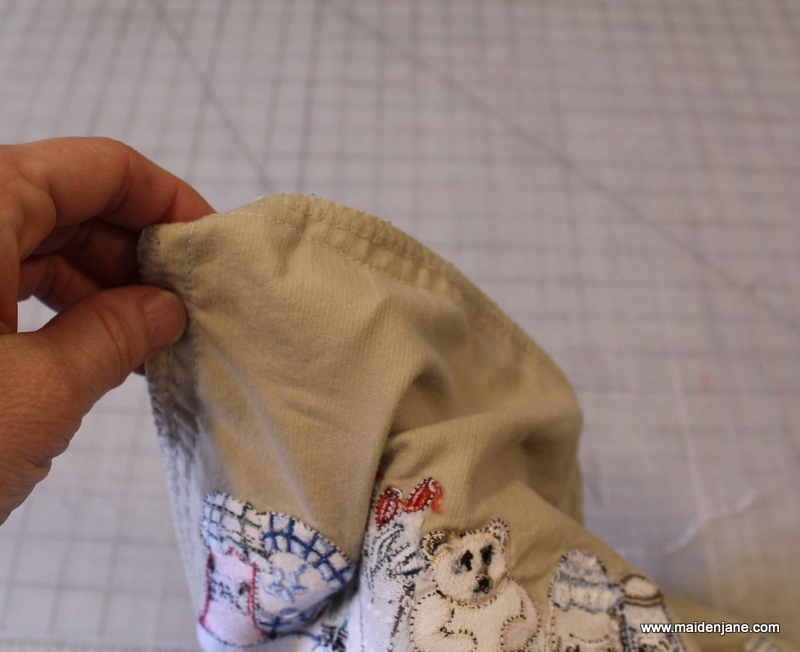 If you have a serger, use that! A tip I got from a Singer book suggests tapering the square at the corners to reduce bulk. It’s not necessary, but something I like to do. I also serge the edges to clean it up, but that is not necessary, either. 9. Turn the pillow case inside out by opening a few of the buttons. Another trick I learned when turning pillows is to fold the corners. This is hard to describe and photograph. I stick a finger into the corner. 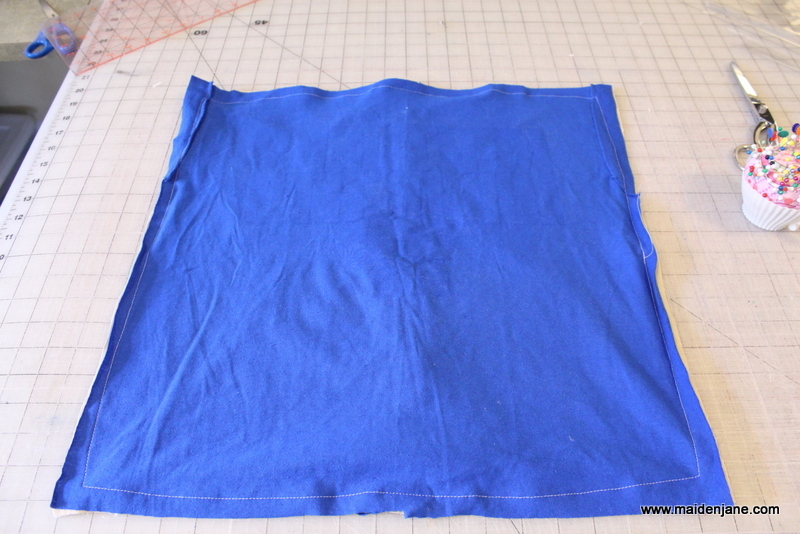 I then fold the corner back along the top and side. Grab that from the inside and pull to the outside. It helps make a clean corner. You will still need to use a point turner to push the corner out but this method is easier than trying to push all the bulk out and poking a hold through the corner. In either case, always push the corner out carefully. 10. Pres and enjoy! Be careful when pressing on the T shirt side that you don’t melt any part of the shirt. Use a press cloth if necessary. 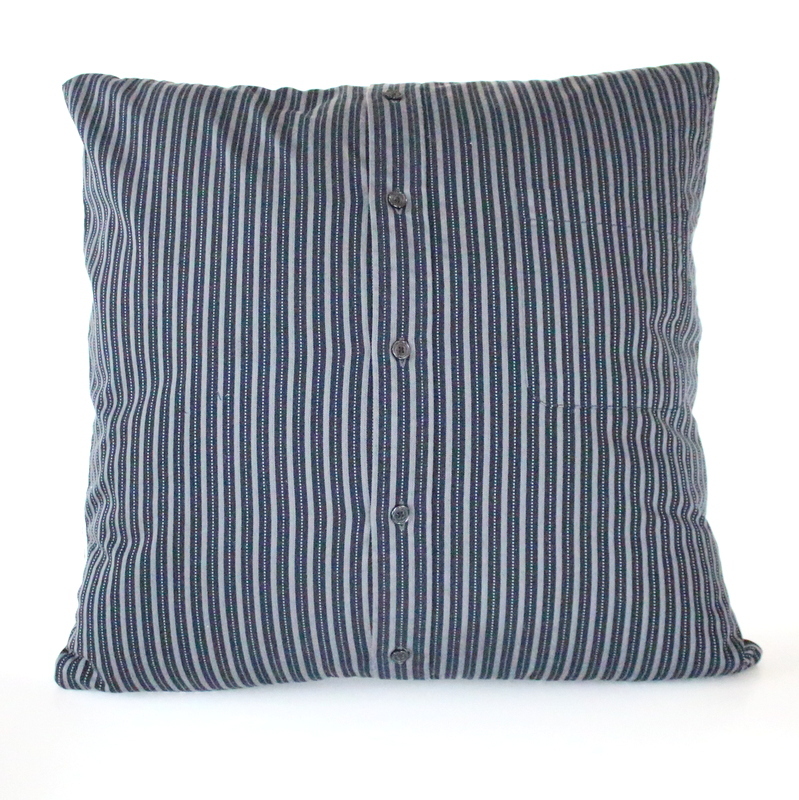 Have you ever made a memory pillow out of a man’s shirt with a collar and included the entire collar in the pillow. I’m trying to do that right now, but am wondering how to enclose where the neck would go. Any ideas? I have seen pillows like that on Etsy. I would take a piece of fabric from the sleeve, and place it under the “V” formed by the collar. 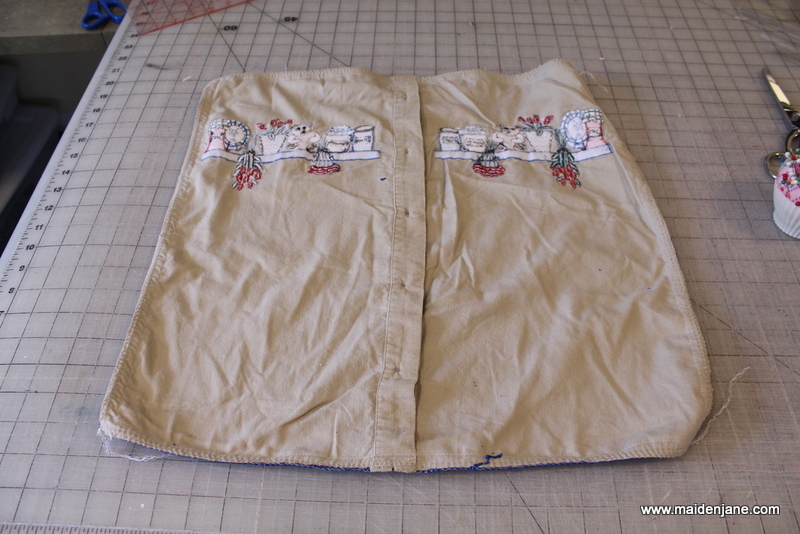 Then you should be able to square off the top and sew it to the back. I hope that helps! I’m wanting to make a memory pillow out of a dress with the collar included. Do you have any ideas on how I can do this?. 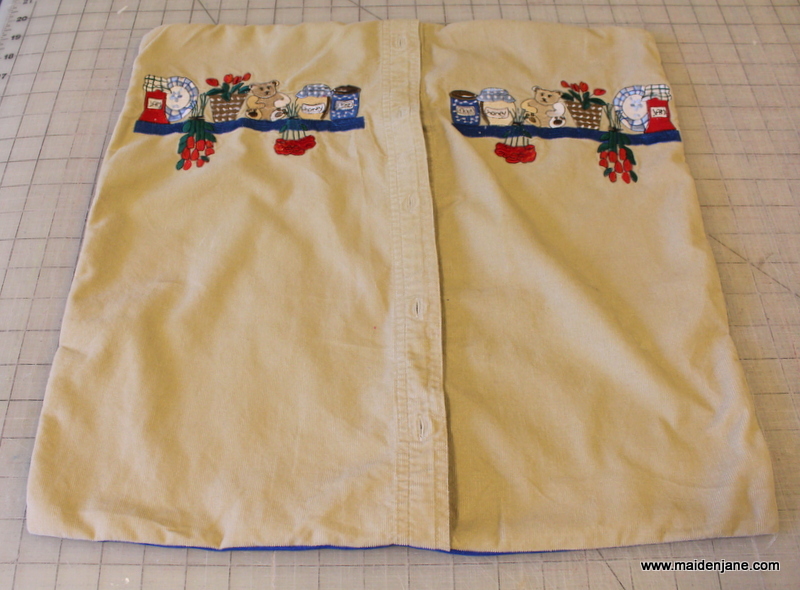 Do you put the pillow form through the side with the buttons and then re-button the shirt? My brother-in-law passed on December 19, 2016 and I’m trying to make a few of these for my sister-in-law….please help~! Yes, that is how you do it.